What makes a good father, and what makes one a failure? Does less-is-more parenting inspire independence and strength, or does it encourage defiance and trouble? Kickflip Boys is the story of a father's struggle to understand his willful skateboarder sons, challengers of authority and convention, to accept his role as a vulnerable "skate dad," and to confront his fears that the boys are destined for an unconventional and potentially fraught future. With searing honesty, Neal Thompson traces his sons' progression through all the stages of skateboarding: splurging on skate shoes and boards, having run-ins with security guards, skipping classes and defying teachers, painting graffiti, drinking and smoking, and more. As the story veers from funny to treacherous and back, from skateparks to the streets, Thompson must confront his complicity and fallibility. He also reflects on his upbringing in rural New Jersey, and his own adventures with skateboards, drugs, danger, and defiance. 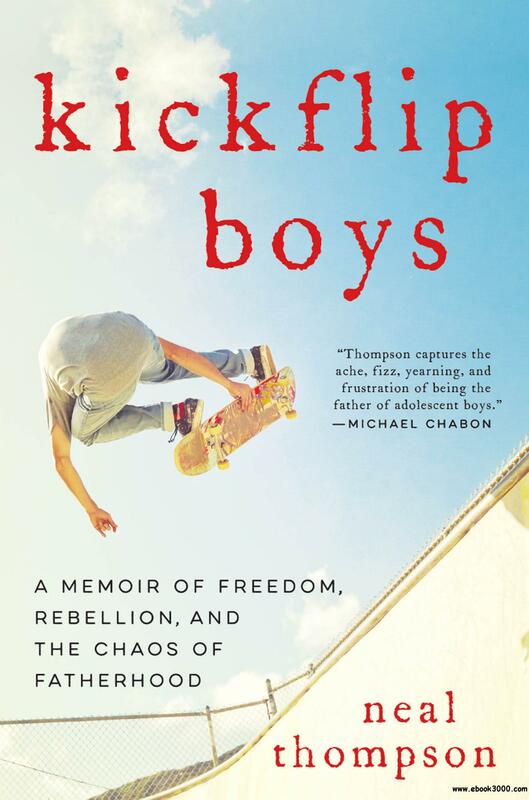 A story of thrill-seeking teens, of hope and love, freedom and failure, Kickflip Boys reveals a sport and a community that have become a refuge for adolescent boys who don't fit in. Ultimately, it's the survival story of a loving modern American family, of acceptance, forgiveness, and letting go.